The annual Montagu Youth Arts Festival this year enjoyed a surprise visit from the popular Cape Welsh Choir who performed in the Montagu NG Church to a packed audience on Saturday, 9th August. The choir, established in 1982 and a member of the Welsh Association of Male Voice Choirs, was a great joy and inspiration to young and old. Their presence at the festival was certainly one of the highlights of this year's Festival. 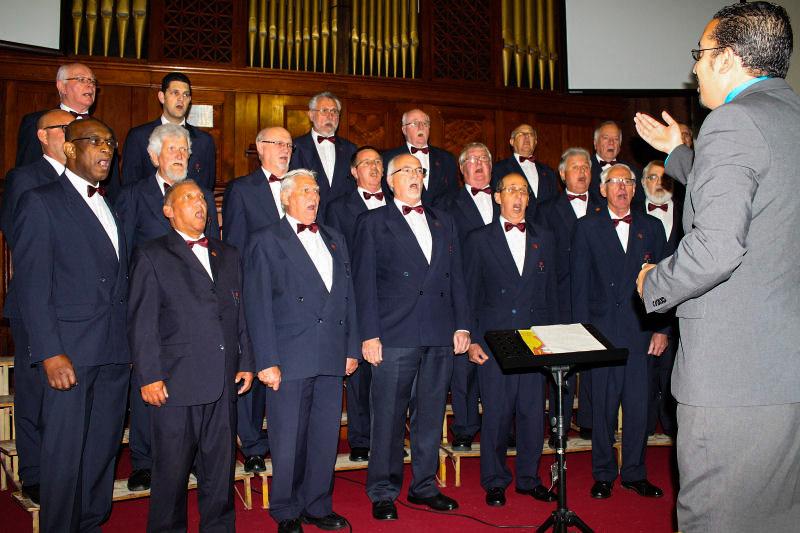 The current members come from a variety of backgrounds but all share the love of singing in the rousing Welsh male voice tradition. �The love of singing in this genre, together with the resultant benefits enjoyed by a variety of worthwhile causes, are the principal objectives of the choir,� Allison Float (Dance Adjudicator at the Youth Arts Festival) said. One of the highlights of the choir�s history includes a Gold Medal Award for their performance at the International Eisteddfod in Roodepoort in 1991, participation in the 2007 Joint Festival of Welsh Male Choirs at the Royal Albert Hall in London as the only overseas choir to be invited and annual participation in the Last Night of the Proms concerts hosted at Cape Town City Hall.